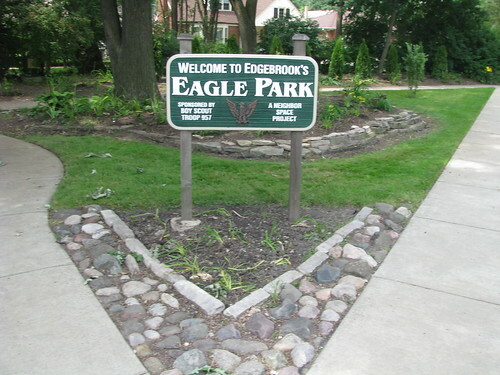 Eagle Park was founded in 2001 by the Boy Scouts of America Troop 957. There was unused land that was an eyesore, and the troop wanted to clean it up. 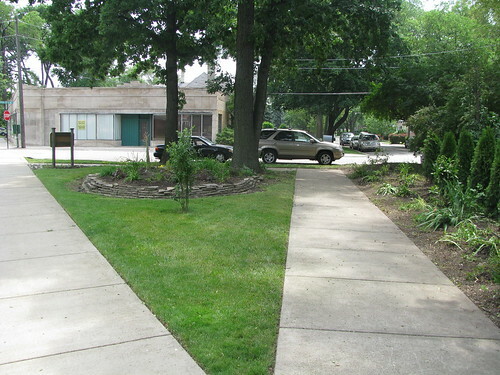 In collaboration with NeighborSpace and the City of Chicago they were able to use the lot to build a garden. The garden grows almost exclusively perennials, including lilies, tulips and native grasses, a few small bushes, and a couple trees.